I’m delighted to introduce this post from Africa in Words Guest author, Louise Müller for the ‘African classics’ series. As Nara discussed last week, this series aims to give a fresh or alternative insight, giving our readers a chance to reconsider the perspectives of new writers via authors and researchers they consider influential. Louise’s research reflects her in depth anthropological fieldwork in Ghana. For me, her post highlights how feminist historians of Africa can consider what has gone before in the light of our empirical evidence. 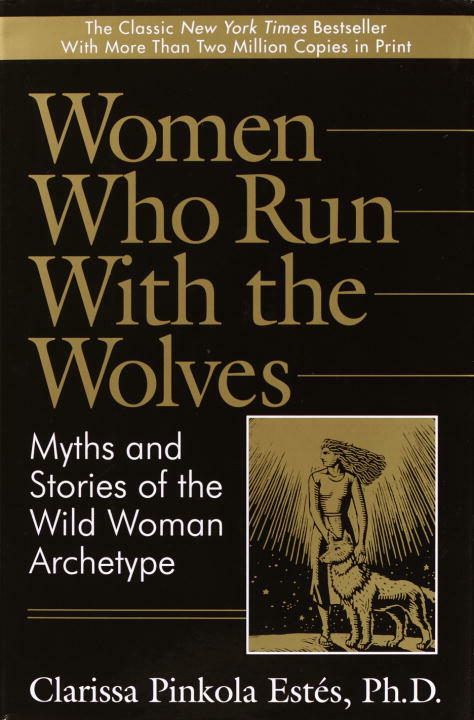 A book that inspired me as a PhD student in African Studies is Clarissa Pinkola Estés’ ‘Women who run with the wolves’ (1992), who, on her turn, was inspired by the Swiss philosopher Carl Jung. Estés renowned manuscript, explains the psychological impact of modern societies on women in the Western world, and especially the USA. In poetic language and by drawing from the insights of Hungarian and Latin American myths, Estés, a Jungian psychoanalyst, cantadora and immigrant in America explains that in today’s North Atlantic world with its Judea-Christian heritage, women are told to be kind and to obey men, like their fathers and husbands, instead of listening to the voice of their unconsciousness. Once, a woman’s intuition is wounded, and the so-called ‘she-wolf’ within her psyche is oppressed, she simply becomes the victim of the demands of others and is easily exploited by her social male-dominated environment. The river of life inside her starts to dry up, as her creative mind is not stimulated, which makes her feel passive and unenergetic. Estés succeeds in teaching all women in the modern Western world an important lesson. Today, women in the West should first and foremost follow their intuition and invest e.g. by meditation and yoga in strengthening the she-wolf aspect of their psyche, which not only protects them against malevolent forces but also enables them to be creative. They should guide themselves by ancient myths and oral traditions to wake up and use their primordial energies to dance, to write, to conduct research, to make music and to make love…………. The first time, I read Estés’ book was during my fieldwork on the religion and chieftaincy institution of the cultural group of the Asante in the West African country called Ghana. Estés’ manuscript helped me to gain understanding of the truth nature of the Asante religion. Thanks to her and the older work of Carl Jung, I slowly came to the realisation that the secondary sources on the Asante religion and chieftaincy were incomplete. The existing literature almost only focussed on male rulers and male ancestors and gods, whereas the traditional rulers in Ghana that I interviewed were of both sexes and they spoke of androgynous serpent ancestors to whom the Asante had attributed male and female characteristics. It took a while before I realised that Muslim men and male European Christian missionaries wrote the majority of manuscripts that dealt with the Asante religion and that these contributions to Asante history were male biased. Especially the Christian sources were very missionary oriented and subjective. In all of the mentioned sources female spirits and the contributions of female rulers were hardly ever mentioned. The Asante spirits were presented as if there had always been an omnipotent and omniscient male God on top of the pyramid of the pantheon of indigenous Asante gods, whereas in fact this male biased perception of God has been the result of Islamic and Christian influences on the Asante society. Estés’ work stimulated me to write down the religious history of the indigenous Asante gods and goddesses, on the effects of the impact of Islam and Christianity on the whole Asante pantheon and on the traditional political institution that has been legitimised on the basis of the indigenous androgynous serpent spirits. My research on the nature of the spirits in Asante history made me realise that the African indigenous gods and goddess, had contributed to the maintenance of a gender balanced chieftaincy institution and concomitantly of a gender balance in the Asante society. The emancipation of women in (African) societies is thus closely linked to the acknowledgement of its (African) female rulers and their (ancestral) goddesses. I believe that all Africanists will benefit from reading Estés’ book, and if they find time for it, in combination with my own book that just came out on ‘religion and chieftaincy in Ghana’, because we both aim to remember that the first goddesses that represented wisdom in world history were all women, such as the Egyptian goddess Maät, the Hebrew goddess Chokmah, and the Greek goddess Sophia. In Ghana, one has always believed that older women are most blessed with wisdom, because they best know their lineage. Not surprisingly, the female rulers who are the male rulers’ senior are most capable of advising the latter on their political decisions. Inspired by Estés’ and Jung’s work, my own book demonstrates that it is a misunderstanding to discuss chieftaincy issues in African societies as if these are male only political affairs. The Asante traditional authorities in Ghana have always been male and female rulers, who work together and whose contributions have been complementary but equal. The Asante traditional political institution has persisted despite the impact of Islam and Christianity on their society due to the continuation of their and their follower’s belief in and their veneration of androgynous spiritual beings and a creator God that includes both male and female indigenous religious power and Islamic and Christian elements. 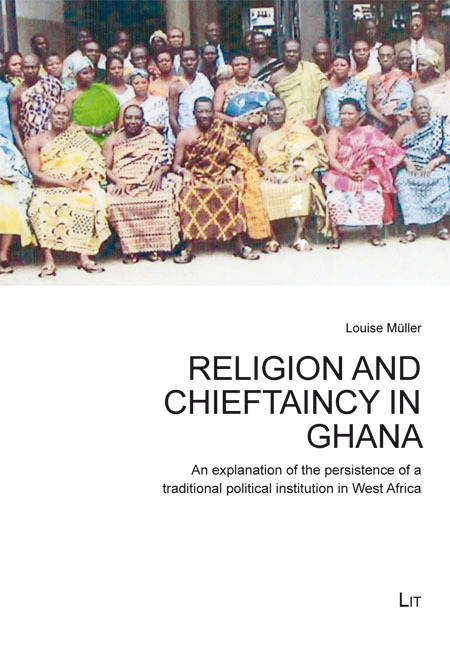 Louise Müller (2013) ‘Religion and Chieftaincy in Ghana’ Published by Lit Verlag. Dr. Louise Müller believes that in matriarchal ancient Egypt women were better treated than in any society today. At night, she therefore dreams of being an Egyptian farao, and during day time she has developed an interest in Egyptian and West African cosmology, philosophy, and gender history. So far, she combined her interests in studies on religion and chieftaincy in Ghana and on the religious meaning and the reception of West African films in Ghana and in southeast Amsterdam. Louise obtained her PhD from the University of Edinburgh and is currently a fellow of the African Studies Centre at Leiden University in the Netherlands. She is an editor of the Berlin Journal of Philosophy. Louise blogs at www.atumpan.com. Thank you so much, Louise, for your post. I think that revisiting not only the sources that describe social structures and history but also analysis developed upon these sources is a necessary work in order to highlight the role of women; and it seems that your book accomplishes that. I was particularly interested in what you said about how the contributions of the Asante religious authorities were complementary and equal. The idea of equality intrigues me, and I think it is an important discussion not only in reference to other societies that we study, but also to our own context; how we position ourselves as feminists and therefore how we look at other ways of social organisation. And thank you for the calling our attention to Estes book. Now I know what is my next reading! – Before I started to read this post, I was staring into space having an imaginary conversation with my father (one of those conversations where you win the battle and the war). I told him that my calling was louder than he; that his goals for me are rooted in something other than what I’ve been put here for and what drives me. It felt good to have my imagination affirmed by this post. -I think there was something in the Guardian recently about colonial archives in Kenya and how unreliable the documents are and ultimately about the value of oral histories. Along with this post, I recall my history lessons throughout my public school education in the US: Africans didn’t write anything down so we don’t know their history. A clear act of violence from our curriculum writers. I’m curious as to how this “debate” plays out in academia. Is there a debate? Is the use of oral narratives discouraged during data collection?